I’m thrilled to once again host my friend Krista Van Dolzer for her third middle grade book, EARTH TO DAD. With each book, she gives a glimpse into a new world, from the 1950s in THE SOUND OF LIFE AND EVERYTHING, to contemporary middle school in DON’T VOTE FOR ME, and now the future! 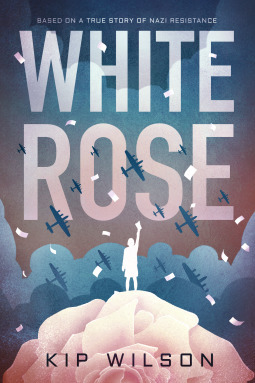 Krista has graciously offered a signed hardcover to one lucky reader, and you definitely want to get in on this giveaway, but first, let me tell you about the book. The distance between Earth and Mars is more than just physical. No one knows that better than eleven-year-old Jameson O’Malley. When Dad left for Mars, Jameson thought technology would help shorten the millions of miles between them, but he’s starting to realize no transmission can replace his father. When a new family moves onto Base Ripley, Jameson makes an unlikely friend in Astra Primm, who’s missing a parent of her own. But as their friendship grows stronger, Jameson starts seeing the flaws in his own family. Mom is growing distant, and something is wrong with Dad. He’s not sending transmissions as frequently, and when he does there are bags under his eyes. Soon Jameson realizes there’s more to the story than he knows–and plenty people aren’t telling him. 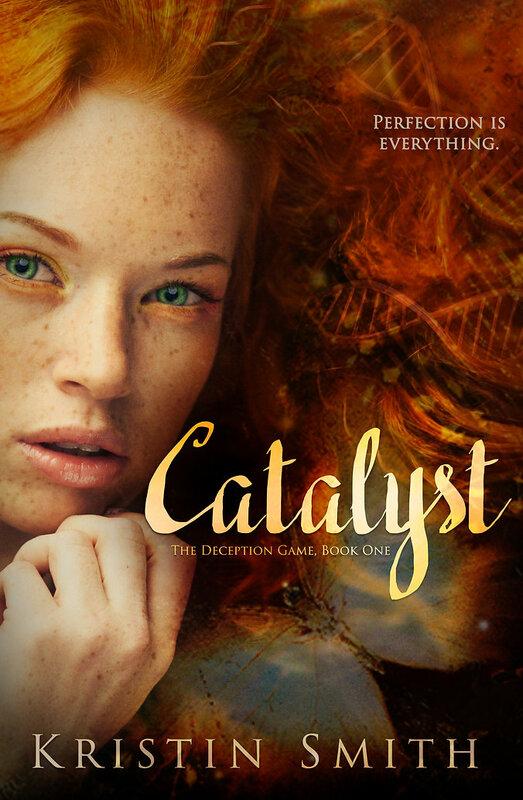 Determined to learn the truth, Jameson and Astra embark on a journey exploring life, loss, and friendship that will take them to the edge of their universe. 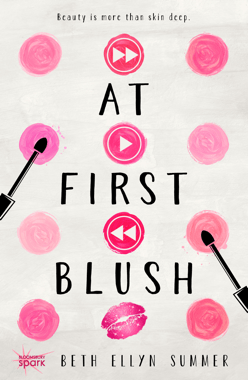 Here are Krista’s answers to questions about the five things I loved most. 1. The premise of an asteroid sending Earth off-orbit so it’s steadily moving toward the sun is intriguing. How did you research the science of what that might be like? Suffice it to say that I spent a lot of time clicking around NASA’s website (and quite a few other scientific organizations’ websites, too). 🙂 First, I looked for ways to put Earth’s future in jeopardy. Then, once I decided to give Earth a decaying orbit, I looked for ways to mess with the solar system’s equilibrium. As it turns out, Jupiter plays a pretty crucial role in holding the rocky planets in place, so if you mess with Jupiter, there’s at least a decent chance that you’ll mess with Mercury, Venus, Earth, and Mars, too. 2. I love the friendship angle of the story, how more than anything what Jameson longs for is a best friend. What made you decide to focus on that as the central relationship in the story? I tend to write children’s books with lots of adult characters, so to balance out that imbalance, I hone in on the relationships between my child characters. It worked especially well in this case, since I wanted Jameson to learn how to live a richer, fuller life and that’s what his friendship with Astra is all about. 3. I love the variety of your stories, how you’ve written historical (THE SOUND OF LIFE AND EVERYTHING), contemporary (DON’T VOTE FOR ME), and now futuristic. How do you put yourself in the mindset of kids from each of these different time periods? I certainly try to vary my characters’ vocabularies so they don’t sound anachronistic, but beyond that, I don’t really think about it overtly. Kids are kids are kids, whether they’re living in 1952 or 2047. Though the trappings of their lives might change, kids from every age and walk of life probably still worry about the same sorts of things: finding friends, dealing with parents, and figuring out where they belong. 4. Astra is such a fun character. Did you develop her independently of Jameson, or were you particularly thinking of her as a foil for Jameson? I’m so glad you liked Astra! I must have a soft spot for spunky tween girls. 🙂 I definitely wanted her personality to contrast with Jameson’s, so in that way, yes, I did write her as a foil for Jameson. They have so many things in common, but they process those experiences in such different ways. 5. I love the feeling of MAYBE throughout the book. As an adult, there were several scenes I read thinking “there’s no way this will work, but maybe … ” What tips do you have on retaining that optimism that kids have as they’re reading while still keeping the plot believable? Oh, I’d like to read that scene! And if you’d like a chance to read EARTH TO DAD, you can enter by commenting below. For extra entries, click on the Rafflecopter. North America only, please. Open until next Monday, Sept. 17. Whether you win the giveaway or not, definitely add EARTH TO DAD to your TBR list! 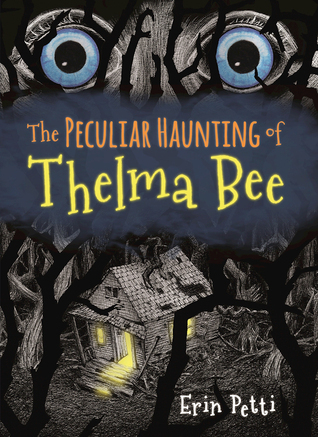 MMGM: THE PECULIAR HAUNTING OF THELMA BEE Interview & Giveaway! If you don’t know I participated in The Writer’s Voice contest in 2012, then you’re probably new around here :). But the reason I bring it up–again–is because one of the entries from that contest is now a real, live book! I had the privilege of reading Erin Petti’s THE PECULIAR HAUNTING OF THELMA BEE after the contest (although I think the title was slightly different then), and I’ve been so thrilled to watch Erin’s journey to publication. To celebrate, I’m giving away a copy to one lucky winner, but first, let me introduce you to Thelma Bee. Eleven-year-old Thelma Bee is never bored. In fact, she has curiosity and adventure in her blood. She spends her time running science experiments, practicing Spanish, and daydreaming about exotic landscapes. But Thelma gets more than she bargained for when a strange woman sells a jewelry box at her father’s antique shop. That night, a ghost kidnaps her father, and the only clues are the jewelry box and a word the ghost whispered in her ear: “Return.” Now it’s up to Thelma to get her dad back, and it might be harder than she thought—there’s someone wielding dark magic, and they’re coming after her next. I asked Erin to answer questions about my five favorite things–with a little help from my eight-year-old son, who actually snatched this book and read the finished copy before me :). 1. I love Thelma’s interest in science and the use of the scientific method throughout the book. What made you decide to make this a focus for her character? It may sound silly, but I think that Thelma kind of told me about herself. Since beginning drafting (about a hundred years ago) her voice was always strong and I knew she wanted to investigate things – this led pretty naturally into a scientific disposition. Once that groundwork was laid, her notes became a really helpful tool in telling the story! 2. The illustrations are fantastic. How did you determine THELMA BEE would be an illustrated book? I love the illustrations, too, thank you! I had no idea that the book would be illustrated. Even after I signed with Mighty Media and had conversations about the direction of the book – it was a real surprise to me when I saw the care that they took integrating all the internal drawings. Kris Aro McLeod is a gifted artist and I feel so lucky that we got to work on this together! 3. The supporting cast of characters—from Alexander to Izzy to Eugene—is so strong. Did you plan out each of these characters in advance, or did they come to you as you were writing? In my outline, I planned most of the characters, but Menkin was a surprise to me. She just showed up in one scene as I was drafting and became an important part of the story. 4. I love the setting. It’s so spooky and well drawn! How did you research the area, and/or is it familiar to you? Thank you! The town of Riverfish, MA, is based on the town of Maynard, MA, where I lived when I began drafting. Thelma’s house on the river was my house on the river! The area around Maynard, Lincoln, and Concord, MA, is rich in woodlands and history. It was a giant inspiration! 5. The ending is satisfying and yet leaves the story open for more. Do you have additional adventures in mind for Thelma? My eight-year-old particularly wants to know the answer to this question! First, a big-huge thank you to your 8-year-old for reading! This is so new to me still and I can’t tell you how happy it makes me to imagine a kid connecting with my characters. And yes! More Thelma on the way. A draft of book two is with the publisher right now, and we should be hearing more about Thelma’s adventures very soon! The problems get a little bigger, Thelma learns more about who she is, and RVPS might even get some new members! That’s great news about additional Thelma Bee adventures! Now on to the giveaway. I will send a copy of THE PECULIAR HAUNTING OF THELMA BEE to one lucky winner. North America only please. To enter, click on the link below or leave a comment. I’ll choose a winner next Monday, Oct. 17. Whether you win or not, I hope you all check out THELMA BEE!